Mechanical thrombectomy (MT) is an efficient treatment of acute stroke caused by large-vessel occlusion. We evaluated the factors predicting poor clinical outcome (3-month modified Rankin Scale, mRS >2) although MT performed with modern stent retrievers. We prospectively collected the clinical and imaging data of 105 consecutive anterior circulation stroke patients who underwent MT after multimodal CT imaging. Patients with occlusion of the internal carotid artery and/or middle cerebral artery up to the M2 segment were included. We recorded baseline clinical, procedural and imaging variables, technical outcome, 24-h imaging outcome and the clinical outcome. Differences between the groups were studied with appropriate statistical tests and binary logistic regression analysis. Low cerebral blood volume Alberta stroke program early CT score (CBV-ASPECTS) was associated with poor clinical outcome (median 7 vs. 9, p = 0.01). Lower collateral score (CS) significantly predicted poor outcome in regression modelling with CS = 0 increasing the odds of poor outcome 4.4-fold compared to CS = 3 (95% CI 1.27–15.5, p = 0.02). Lower CBV-ASPECTS significantly predicted poor clinical outcome among those with moderate or severe stroke (OR 0.82, 95% CI 0.68–1, p = 0.05) or poor collateral circulation (CS 0–1, OR 0.66, 95% CI 0.48–0.90, p = 0.009) but not among those with mild strokes or good collaterals. 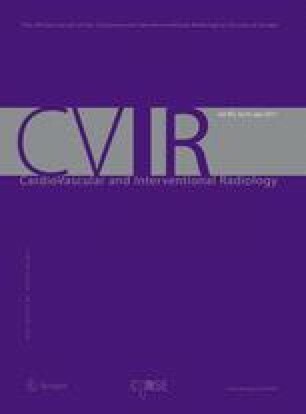 CBV-ASPECTS estimating infarct core is a significant predictor of poor clinical outcome among anterior circulation stroke patients treated with MT, especially in the setting of poor collateral circulation and/or moderate or severe stroke. The online version of this article (doi: 10.1007/s00270-016-1532-x) contains supplementary material, which is available to authorized users.